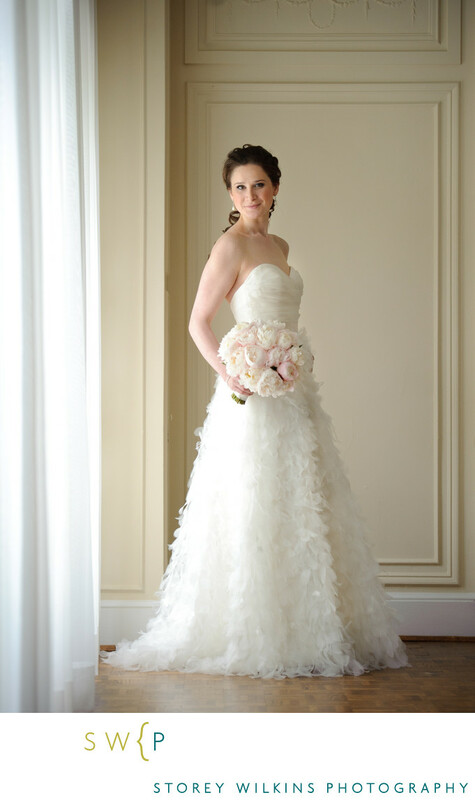 Toronto Wedding Photography by Storey Wilkins. A simple yet elegant full length portrait of this beautiful bride was taken by a window so that just the window light is illuminating her. Location: Bathurst Street and St. Clair Avenue West Toronto.